Training on synthetic surfaces will be part of the AFL’s future, according to John Longmire, who’s trialling the concept this pre-season. The Sydney coach had his players train on the fake grass of Blackman Park in Lane Cove West on Tuesday and believes the concept had their support. 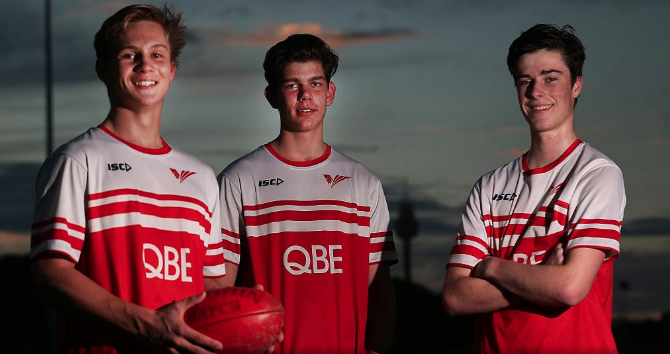 “The boys have loved it and I think it’s a great surface,” Longmire told reporters. While a number of sports in Australia and overseas have long been played and trained on synthetic surfaces, Longmire warmed to the idea while watching English rugby union team Saracens do so a few years ago. He said synthetic grounds also had significant community benefits, with Blackman Park fields marked for Australian rules, soccer, rugby union and league and cricket. “We want to continue to support the use of synthetic surfaces, of different surfaces in sport, not just AFL football,” Longmire said. “We think this is a great opportunity for Sydney councils and governments to be able to support the use of multi-purpose venues like this. “I think it’s the way of the future. 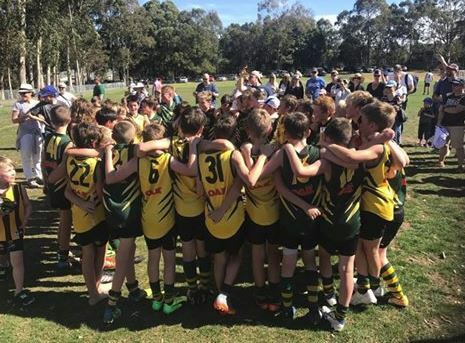 If you are yet to complete your Willoughby Wildcats registration for season 2018, we are excited to advise that the NSW Government through their Active Kids program is offering an Active Kids rebate whereby parents can claim up to $100 per NSW-based school child, per calendar year, as a voucher to reduce the cost of sport registration or membership fees. If prompted for a four digit pin please enter your child’s date of birth in the following format DDMM (eg. 0412). If you ‘do not’ wish to use this voucher for your Wildcats registration, simply complete Wildcats registration without selecting to use the Active Kids voucher. 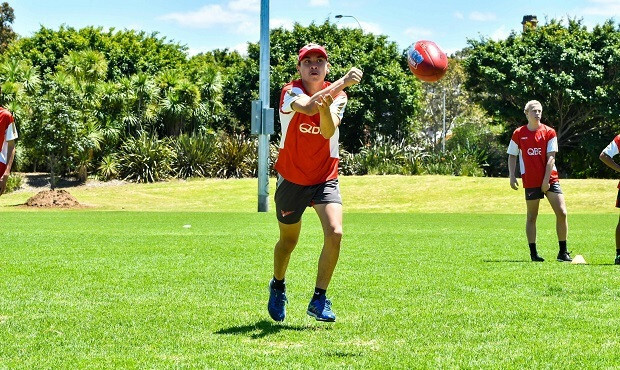 At the start of each football season, QBE Sydney Swans Academy member Kale Gabila writes down his short-term and long-term goals. This year, he wanted to make the Combined Independent Schools representative team and earn a spot in the Academy’s elite benchmark training program that started last month. Tick and tick. His third goal was a bit less serious. “I wanted to take a couple of ‘hangers’ during the season, and I did manage to get up on a few people so that was fun,’’ says Kale, who is not tall at this stage, but has a big leap. 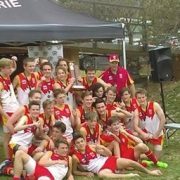 The 15-year-old plays for his school, Knox Grammar, and for the Willoughby/Mosman Swans, as well as taking part in Academy Cup games. Gabila loves everything about playing AFL. “I love seeing my mates kick goals, and to get around my team-mates. I try to be a leader and encourage boys if they miss a kick or get down about something on the field,’’ he says. Gabila is held in high regard by his Academy coaches, who value his on-field courage, discipline and his leadership qualities. Academy general manager, Chris Smith, is expecting a big 2018 from the youngster. “Kale is one of those young players you can’t help but like – he’s a real competitor, and trains and plays with maximum effort,’’ Smith says. 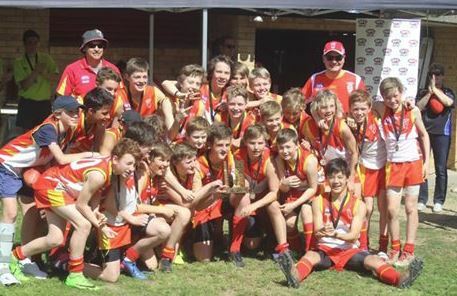 Kale tried footy for the first time in Year 6, when he played for Forestville Public School in the Paul Kelly Cup, a modified rules competition that has helped introduce many NSW youngsters to AFL. 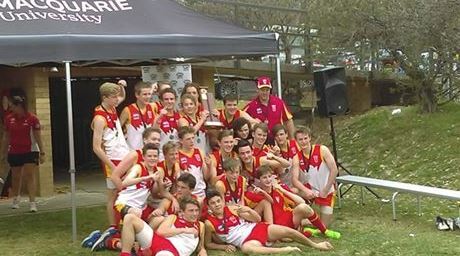 His athleticism impressed officials and he was included in the Sydney North public schools representative team. He had previously been playing rugby, but found he was more suited to AFL. 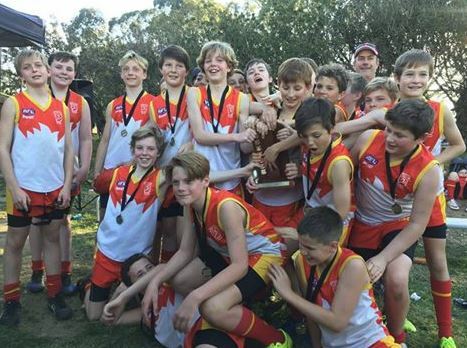 He decided to switch codes in Year 7 when he went to Knox Grammar, where AFL is a growing sport. Kale plays in the midfield or forward, and has already started thinking about his 2018 goals. “I’d like to keep on track with my fitness routine and make the U16 NSW-ACT Rams team,’’ he says. Not to mention taking a few more hangers. But whatever happens in the future, Kale says being part of the Academy has been a benefit to him. Congratulations to all the Wildcat and JV teams who competed in Sunday’s Grand Finals. The Club is very proud of the way Players and Officials conducted themselves.